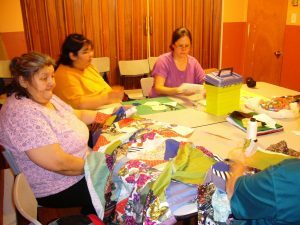 The Chibougamau Eenou Woman’s Circle is made up of Aboriginal women living in Chibougamau that gather around the activities and initiatives of the Friendship Centre, especially crafting. The Woman’s Circle came into being in 2006 following Status of Women funding earmarked for personal development workshops centered on leadership and feminism. Those workshops soon ended but the ladies’ desire to gather around cultural craft continued. Activities begin about two weeks after the start of school in September. Registration is free and ongoing although there can be cost-sharing for materials according to the projects adopted for the season. 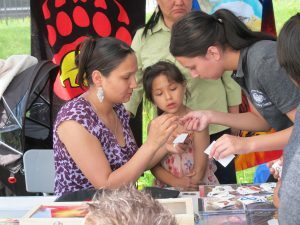 From 2014 to January 2016, Lee Ann Neeposh was the Chibougamau delegate to the Board of the Cree Women of Eeyou Istchee Association. This position is currently vacant and awaiting an upcoming community meeting in order to elect a new local president.